Caption slip reads: "Photographer: Lapp. Date: 1952-01-23. Reporter: Petty. Assignment: Xmas pkg. to Korea. For Sun. 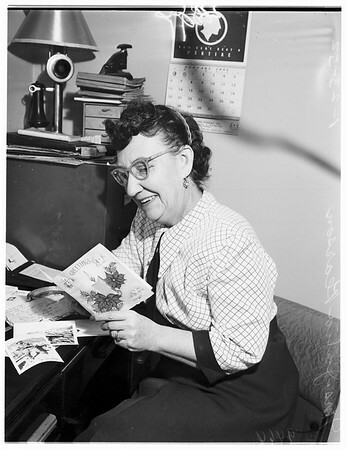 or Mon.47-48: Mrs. Julia Pearson looks at card."